Iris Snider grew up in Maryville after living a short time in Oklahoma with her mom and her dad’s sister during the time her dad was serving in the Navy in the Pacific arena. “I had aunts, uncles, cousins, all in the Maryville area. We had a really typical, small-town, nice life.”She never wondered what she wanted to be when she grew up. “I always wanted to be a doctor even back when all I knew about it was that you wore a stethoscope and helped sick people. Ideally, if I could have done it, I would have been a ballerina in the summer and a doctor in the winter.”Iris always had many friends growing up but came straight home after school to keep house and care for her mother, afflicted with multiple sclerosis. The situation gave her plenty of time to study and earn good grades.It was during medical school at the University of Tennessee in Memphis that Iris Snider met the young man who would become her husband. Over anEaster weekend, she went to dinner with a bunch of her friends, and Jim Slowey had come with them. She and Jim had much in common, came from similar backgrounds and both loved medicine, and they ended up getting married three years later.The decision as to which medical specialty to spend her life career in was difficult. “I was halfway through internship before I decided that pediatrics would be my specialty. OB/GYN was my second choice, but it was Jim’s first choice. If we had both been obstetricians, we would have hardly ever seen each other – we are both hard-headed, and it probably just wouldn’t have worked.”The Sloweys came to Athens after completing internships and residencies and a few years in other locations. “We both came from the kinds of families and friends growing up as are found in Athens. That’s why we came here in 1975.” Dr. Snider associated with the late, much beloved Dr. GeorgeAckaouy at Athens Pediatrics. From their perch on the hill above the hospital, they tirelessly cared for sick children as the world of medicine morphed around them into something entirely different than what it used to be. Technology changed it, and so did the politics of insurance and government.I was curious as to what Dr. Snider considered to be the best, and also the worst, of the changes. Her immediate response was, “Immunizations. Immunizations have saved more lives and done more good than anything else in medicine ever accomplished. I have seen every disease that we can now vaccinate for…diphtheria, tetanus, polio, measles, rubella, chickenpox. Children used to die or wind up with brain damage from these diseases and now we can protect them. I do not accept children as patients whose parents won’t vaccinate. Everyone inAthens knows you don’t go to Snider unless you have your children immunized.”And the worst? “Obamacare. It has created a system of medical care that gives lip service only to caring about patients, stressing the entire fabric of medical care in our country. It allows insurance and government to provide care based on cost rather than what is good for the patient.” Dr. Snider points out though that the best insured care for children is in Tennessee. “Governors Bredesen and Haslam have made and kept changes to keep TennCare a better healthcare plan for the children of Tennessee than most, except for the very expensive insurance plans.”There is one other major factor that Dr. Snider sees every day in her practice that affects child care greatly. “20% of the kids I see are being raised by grandparents, more if you add those in foster homes. Usually, one or both parents are heavy into drugs. 40% of the children don’t have two parents in the home. Many parents do a good job, but many don’t. Drugs become a way of escape for these kids, and the circle continues.”Dr. Snider has spent an entire career working for the betterment not only of her patients locally, but has served on many statewide committees dedicated to the healthcare of all children. She has served on organizations that include (but are definitely not limited to): The Tennessee Medical Association; the Tennessee Chapter of the American Academy of Pediatrics, serving as Chairperson of the TennCare Committee since 1994, and formerly as president of the entire Tennessee Chapter; the American Academy of Pediatrics since 1975, from which she received a Special Achievement Award for distinguished service to the mission and goals of the Academy; Board of Directors of Children Special Services of the State of Tennessee. In 1995, Dr. Snider was awarded Pediatrician of the Year by the Tennessee Chapter of the American Academy of Pediatrics. 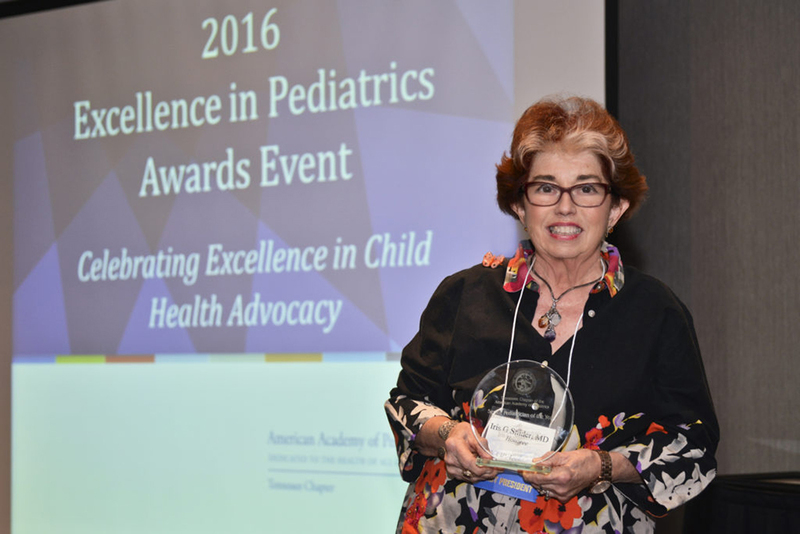 In 2016, she received the Senior Pediatrician of the Year, and she’s still going strong! We are very fortunate to have a Carnegie Library in Etowah, TN. It is such a valuable piece of American History. 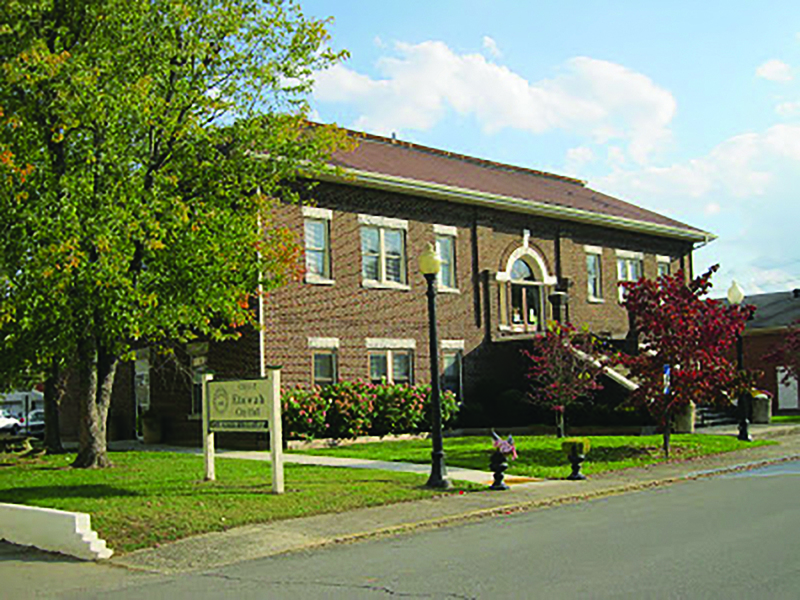 The Etowah Carnegie Library, the second public building erected in Etowah (the first being the Old Grammar school building in 1910), was built in 1915 by means of an $8,000 grant from the Carnegie Foundation. It was built on property donated by the L&N Railroad Company. There are only 2,500 Carnegie Libraries left in the world. About 1,700 of these are in the United States. Andrew Carnegie (1835 – 1919), believing that patrons should enter through a prominent doorway, is responsible for the 22 steps necessary to enter the library. He commissioned architect Edward L. Tilton to create his design vision. The entry staircase symbolizes Carnegie’s belief that a person should ascend to knowledge and learning, while the lampposts outside symbolize enlightenment. Most of the Carnegie Libraries have this same design. There were 17 Carnegie libraries built in Tennessee. Only 4 are still functioning as libraries: one in Harriman, two branches in the Nashville system and our Etowah Carnegie Library, which is alive and well as a thriving icon of our community. The library is so much more than just books. It is a true source of information. Its programs include summer reading for children, teens and adults, computer classes, free wi-fi, e-reader checkouts, free public access computers, scanning capabilities, technical assistance, a place to look for a job, copy and fax services, current bestsellers, audiobooks, e-books, over 900 DVDs, large print books and young adult books. It has 20 magazine subscriptions, used books & magazines for sale, genealogy resources, boating exams, meeting places, an X-Box, puzzle swaps, afterschool story times and Lego club, a craft of the month, a local venue for Legal Aid, cultural display and the list goes on. Six years ago, the Friends of the Etowah Carnegie Library Group was formed to support the Library through a generous donation. Our Etowah Carnegie is in the beginning phase of acquiring an indoor lift that will provide handicap access for everyone in our community. We have a lot of hungry birds out there from November to March. They have four basic needs in order to flourish: 1) Food to eat, 2) Water to drink and for bathing, 3) Cover for protection from the elements and enemies and 4) space to have their young and raise them successfully. Each year, more than 60 million people in the United States participate in the feeding of wild birds. It is important to provide foods other than birdseed. Now is a good time to take inventory of your yard to make sure that birds find it attractive. It would be nice if you could provide a natural picnic all winter long. Native plants are always your best bet. Mockingbirds (my favorite) love serviceberry, American beautyberry and bittersweet. Not only are they beautiful bushes, but they have the added advantage of providing food for our feathered friends. Birds find their food by sight, so all our native plants are great. Sometimes birds don’t recognize a foreign species of berries, so stick with our local tried and true like, winterberry, sparkleberry, American Cranberry bush, winged sumac and Mapleleaf viburnum. While you’re waiting for your shrubs to grow, you can give the birds instant gratification with black oil sunflower seeds. These seeds are high in oil and calorie content, and the thin shell makes them easy to eat. In the past, I have bought a mixed wild birdseed blend only to watch birds discard or waste seed in an attempt to get to their favorite. Birds are fun to watch as they feed, so make sure you place the feeding station close to a window where you can watch the action. It is a good idea to have two or more feeders. Fill each separate feeder with a single type of seed. We know that Cardinals, Chickadees and Tufted Titmice prefer the sunflower feeder. Ground feeding birds such as Mourning Doves and Sparrows prefer a millet feeder. American Goldfinches flock to the Niger seed feeder. 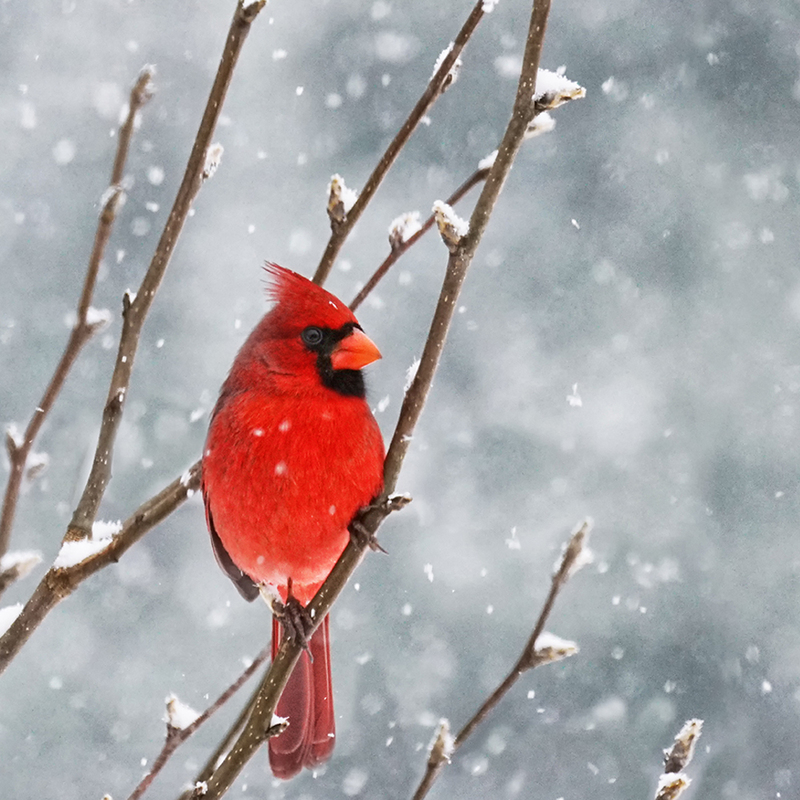 Place bird feeders at different heights to avoid friction between competing birds. Clean the feeder before adding fresh seeds. Once you start feeding, don’t stop until summer. Birds seem to forget where other sources of food can be found and continue to fly to the empty feeder. Water is essential, especially during harsh winters and this extremely dry fall that we are experiencing. When providing water, birds prefer just one or two inches. Make sure the surface is not slippery; you can pile flat rocks on the bottom to give birds a place to perch. They also need shrubs nearby to fly to for drying off and grooming (birds are vulnerable to predators when wet). Never put your birdbath in the middle of a large grassy spot if you want the birds to use it. Moving water attracts birds. After providing food and water, you should consider the shelter. Birds are attracted to brush piles for temporary shelter, and we can enjoy 40 varieties of birds that will nest in the suburban yard. These include Thrashers, Robins, Blue Jays, Mourning Doves, Bluebirds, Wrens, Warblers and Sparrows. Diverse shrub plantings will provide food and shelter for birds. House cats are the most efficient predator for songbirds. Keep a bell on the cat’s collar to warn the birds and keep kitty inside in the morning and early evening. This is when birds are most likely to be active. Also, birdhouses give shelter and a nesting site for birds. Space is the last requirement. Bluebirds need about five acres per pair, and Mockingbirds are very territorial. We have three different sets of Mockingbirds thriving around our house: one at the entrance to our driveway (we call her entrance bird), one at the barn (barn bird) and one close to the vegetable garden (garden bird). They protect the berries in each location. One year when I visited Biltmore House at Christmas, an upstairs tree was decorated in Bittersweet. Vowing to recreate this at home, I cut branches but never got the tree decorated. Last year, my resolve was greater. I cut some bittersweet branches in early December. The berries laid patiently on a worktable on the front porch. Then my husband noticed that our garden Mockingbird was actually perching on the porch rails. This bird had found the berries and was working to keep the other birds away. Even though my fabulous Christmas tree had not been created, I had delivered a present for one of my birds.